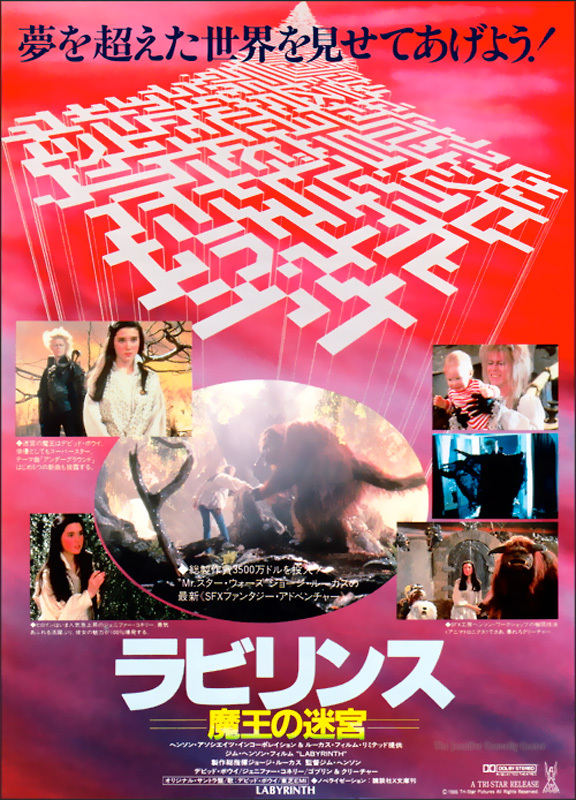 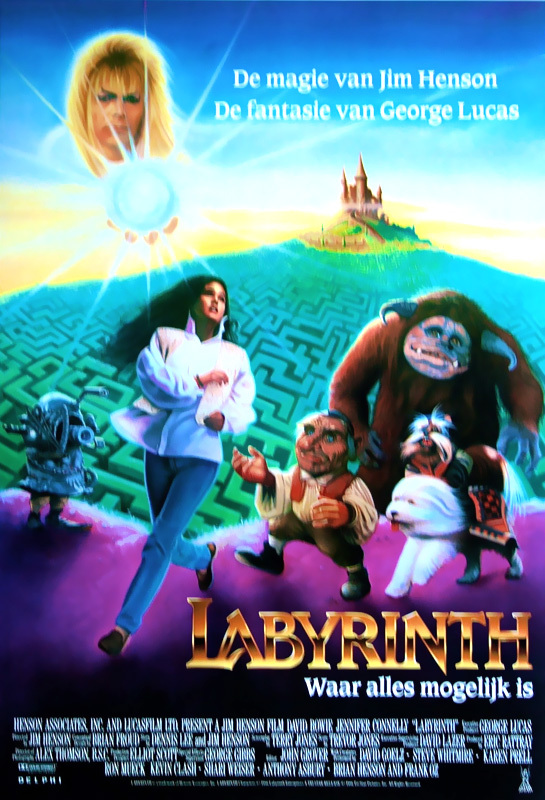 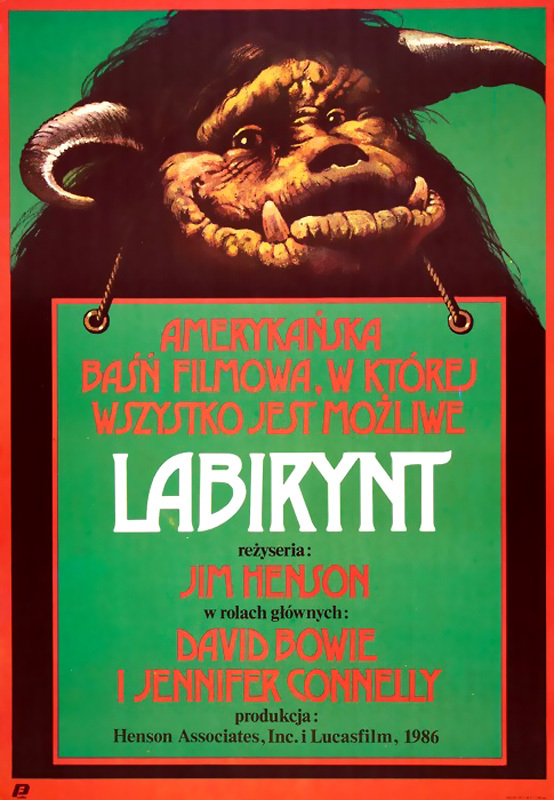 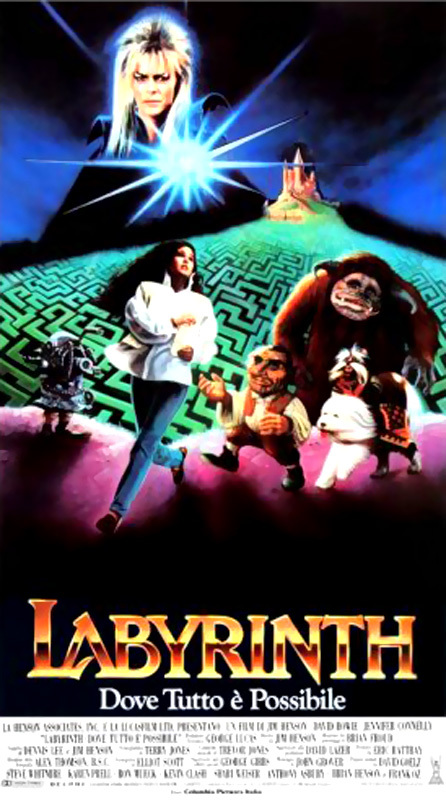 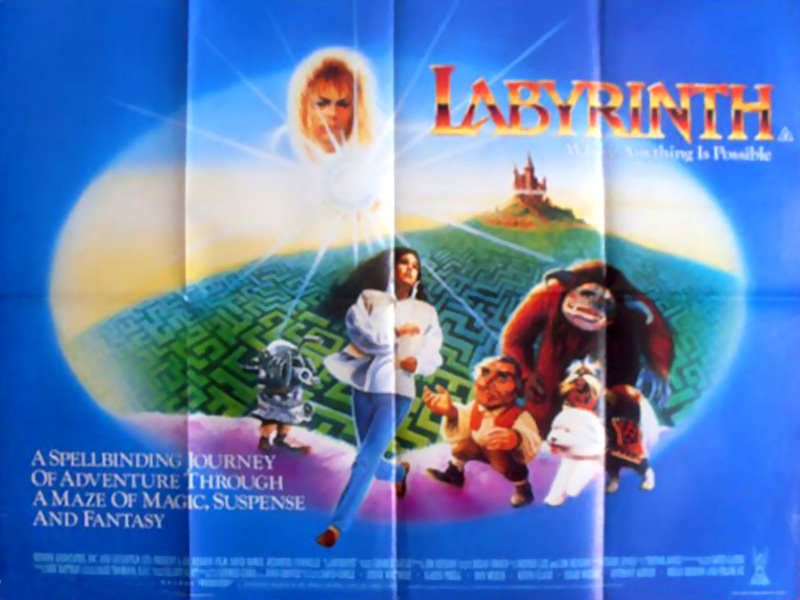 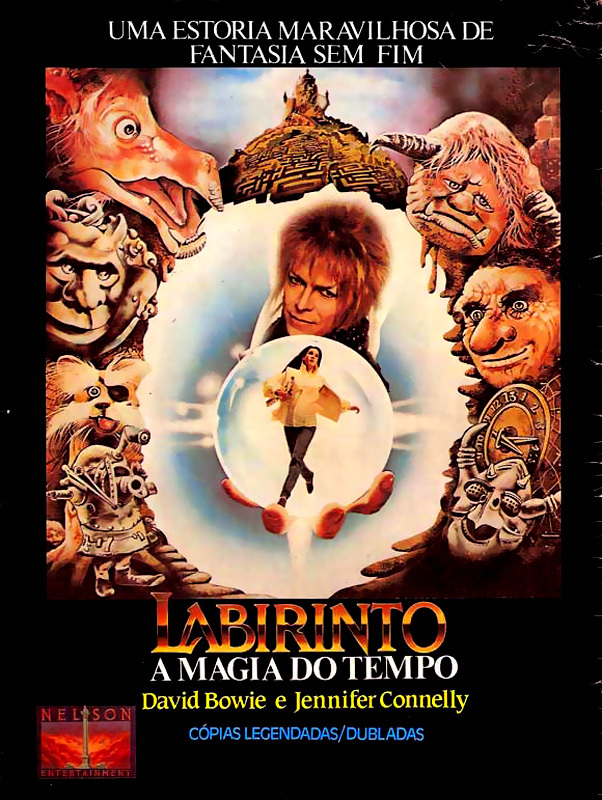 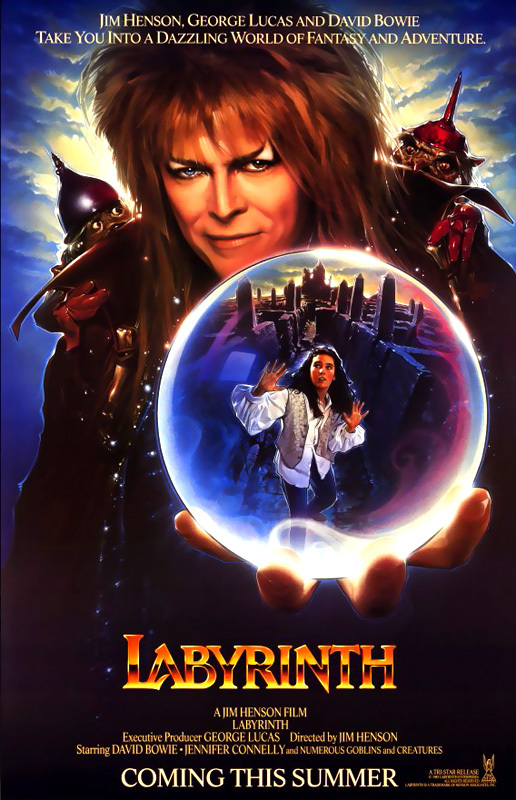 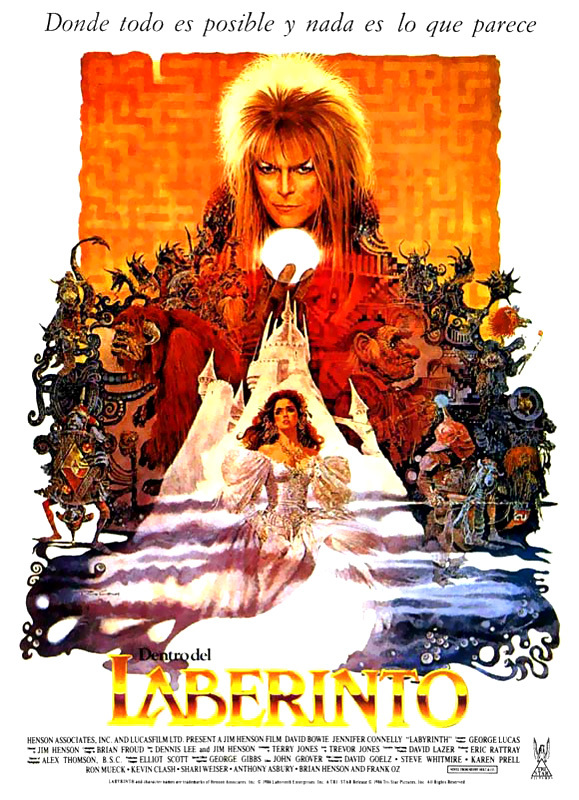 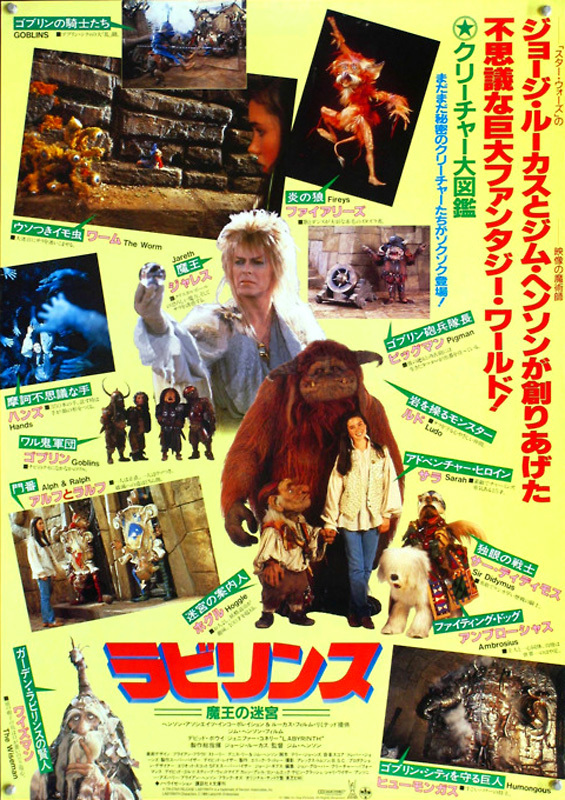 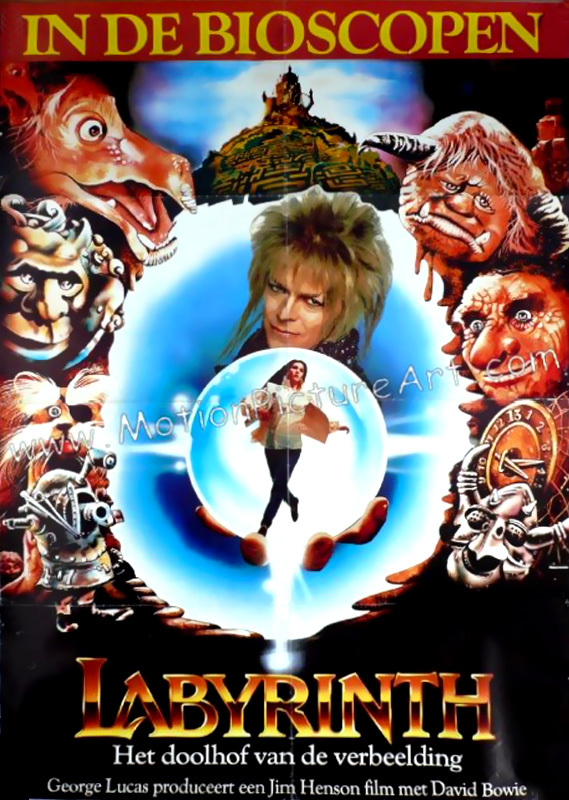 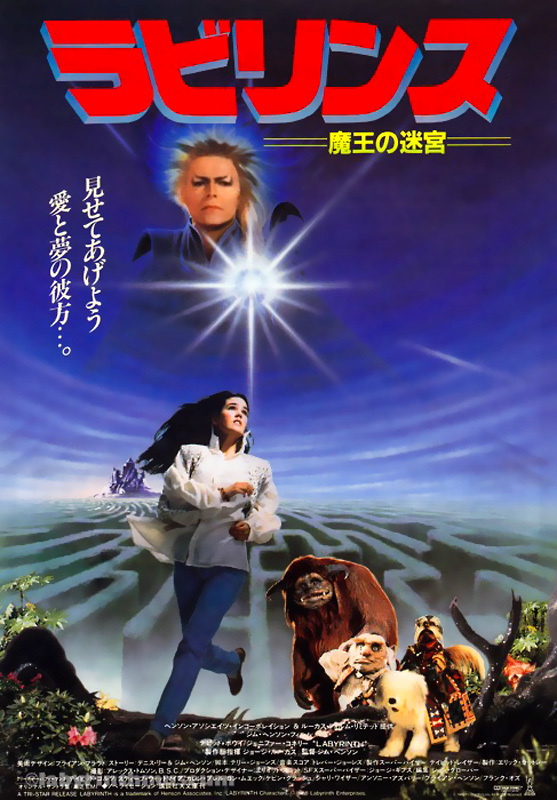 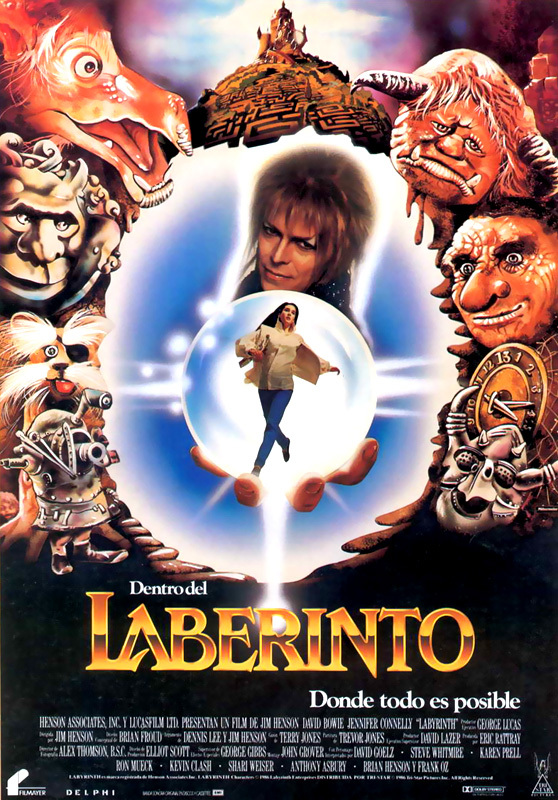 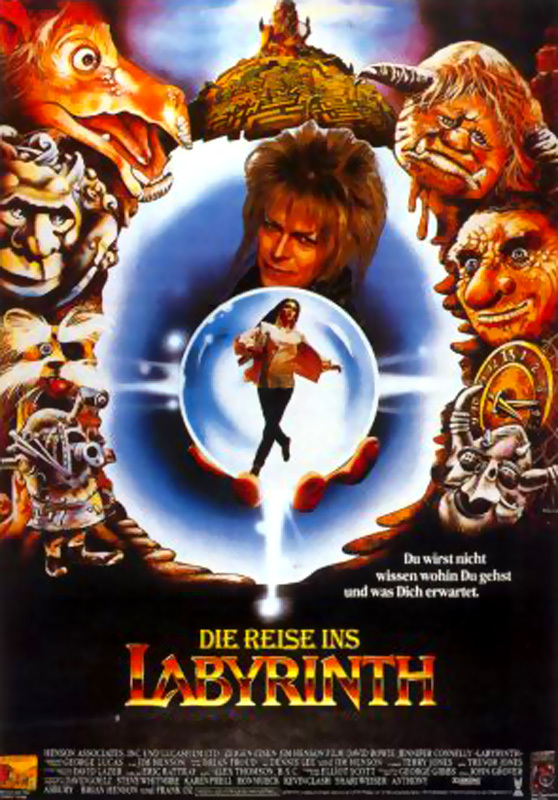 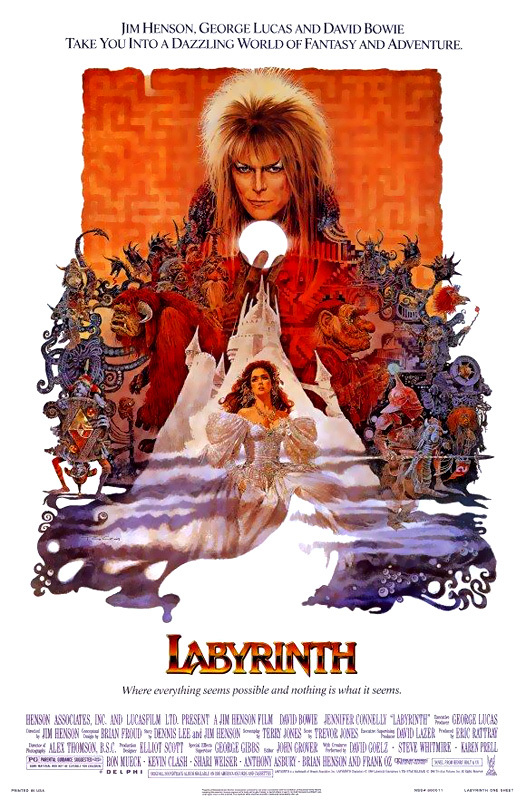 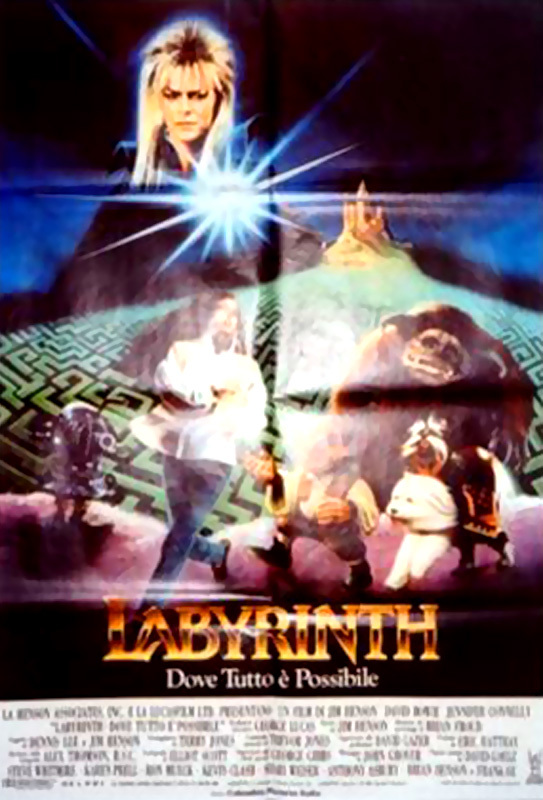 On looking into Labyrinth movie posters, I found there were several designs produced world-wide for its cinematic release in 1986. 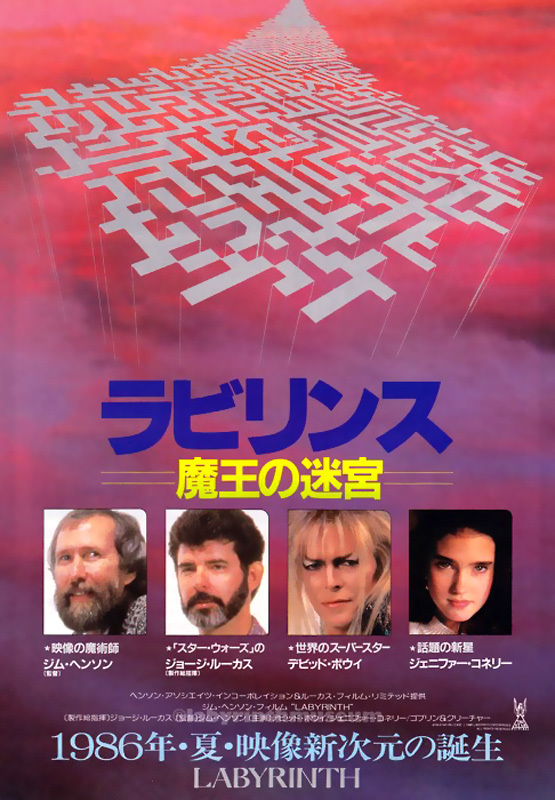 The Japanese versions are very sci-fi, and I love the Polish version featuring Ludo. 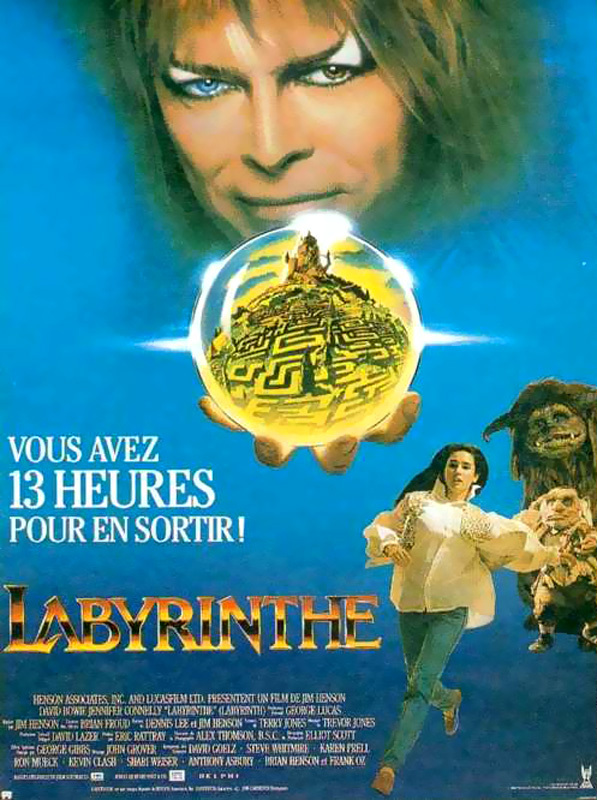 There was also this French poster, a mix of several designs. 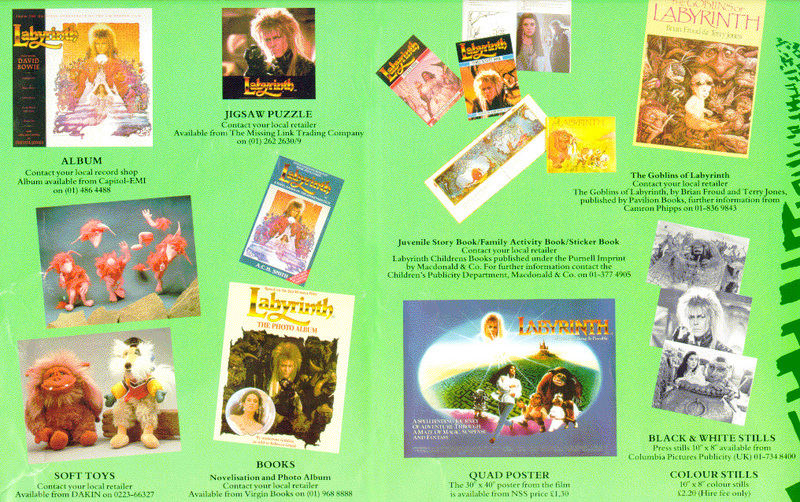 There was quite a bit of merchandise available too, including puzzles, activity books, soft toys and party accessories (plates, costumes, cups etc.). 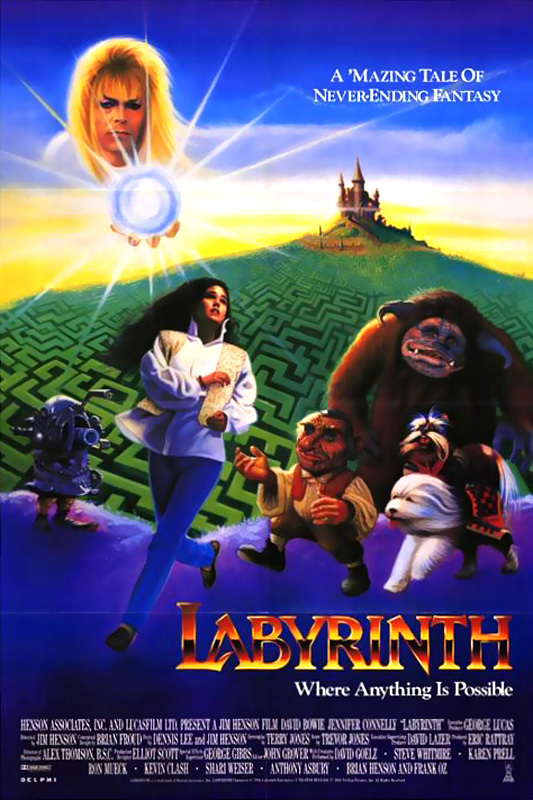 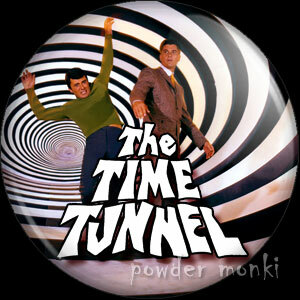 There was even a video game!